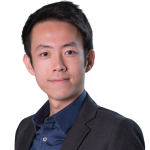 Lim Ming Jun is an analyst at BGA Singapore, where he works with clients on navigating and understanding government policies, legislative and regulatory developments, market trends and business opportunities in Singapore. Ming Jun brings to the role his experience in regulatory analysis, stakeholder engagement and digital strategy. Prior to joining BGA, he worked at a global bank in the digital, regulatory compliance and products teams. Ming Jun obtained his master’s degree in management from Imperial College London, where he was awarded the dean’s list honors, and his bachelor’s degree in international politics from King’s College London. During his undergraduate studies, he also completed internship stints in corporate due diligence and in the public sector.